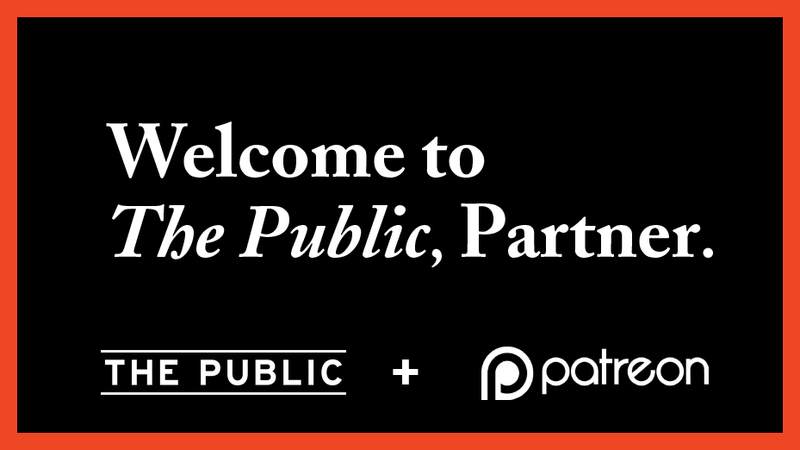 We at The Public have been at it for seven months, and since our inception we’ve been developing ways to showcase and reward the amazing work that our contributors do to make our paper and website the engaging and visually arresting products that they have become. Our small staff depends on a host of writers, artists, and photographers—currently numbering close to 100—to help provide the reporting, commentary, images, and art at the core of our project. And we’d like to do even more for both our contributors and for the public at large by providing more content and better pay. Patreon offers a platform that helps us to do exactly that. Please consider subscribing and supporting the local talent that makes this publication great: Every dime you send us will go to an artist, a writer, a photographer, a designer. And we’ll acknowledge your subscription with fabulous rewards: t-shirts, artwork, even home delivery of The Public. We thank you for reading our paper and website. This is just the beginning.